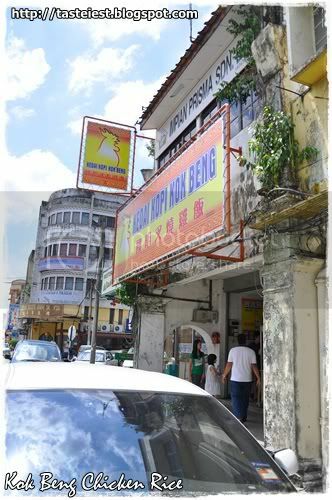 now we are heading to the best chicken rice and char siew shop in Taiping, Kok Beng Chicken Rice, most of the restaurant in Taiping are very concentrated in one area which is a good thing for food hunter like us. 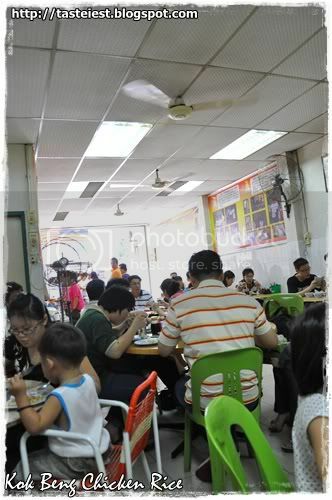 Actually we are quite full after eating the delicious Mee at Restoran Kaka but since we are here already we should not miss the famous Chicken Rice which was interview by media and getting couple of award before. We are waiting for 5 minute before getting our seat and still a lot people standing to wait for their luck. The restaurant is quite small but air flow is quite good and not stuffy. Service is excellent, just sat down for 2 minute and our food served. 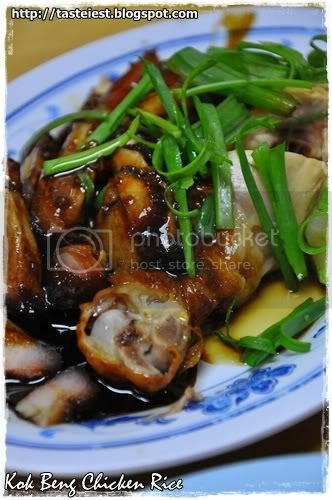 We ordered mixed which consists of Char Siew and Roasted Chicken, Chicken is very smooth while Char Siew taste sweet and both is very delicious. 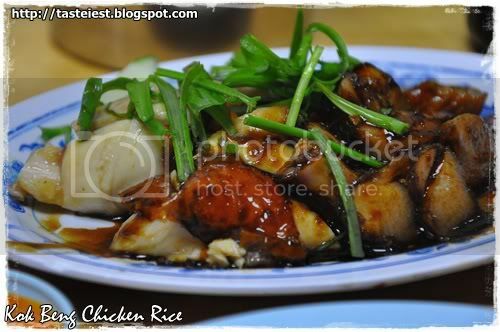 Chicken Rice is not muddy, instead grains of rice has some chicken oil taste which enhance the flavor of the rice itself. 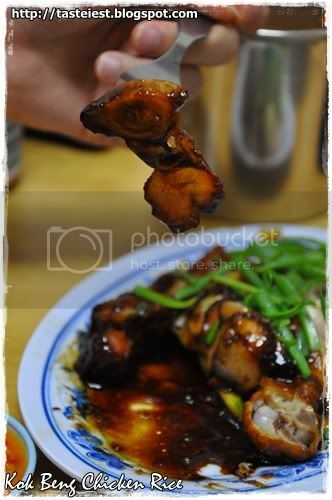 Chili sauce is more toward sour instead of spicy while the soup has very strong ginger flavor, we not really appreciate the strong ginger flavor instead we prefer those with strong chicken essence. 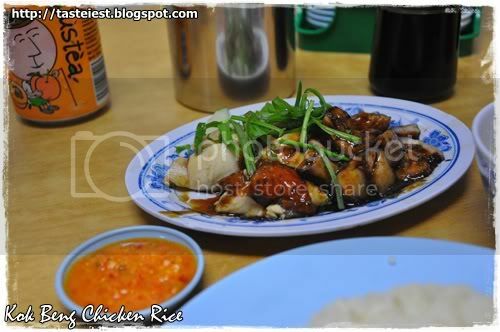 Overall taste very good and we agree with the media listed as top 10 Hai Nan Chicken Rice. 38, Jalan Kota, 34000 Taiping, Perak.